It’s kinda troublesome to find out the hacks that can help us to provide a radiant skin. Whatever be your skin type and texture, caring and nourishing it on a regular basis could turn fruitful for your skin in future. 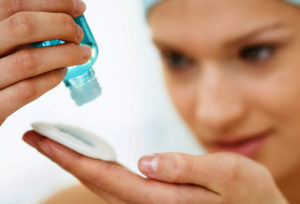 There are zillions of skin care products available in the market that promises to give a glowing skin, but choosing them according to your skin type and age and then implementing the right product in your daily skin care regime could be confusing. 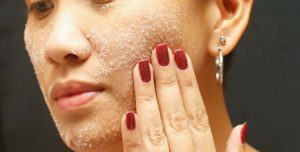 This step by step skin care routine will elucidate the dos and don’ts we need to follow while maintaining a healthy skin and to get rid of the common skin problems that we usually face in our daily lives like acne, blemishes, tan lines, fine lines etc. So by adapting some of these skin care hacks as your daily skin care routine you can easily get the soft and supple skin you have always desired of. If your skin seems to be dull and rough then you have a dry skin. If it’s greasy and retains oil soon after wash then undoubtedly it’s an oily skin. If it’s dry but retains oil in some parts of the face then it’s a combination skin. If your skin gets affected after using some skin care products and starts itching then it’s a sensitive skin. And if the oil content is balanced and can stand any kind of skin care product without affecting it then it’s a normal skin. Removing makeup before you hit the bed is quite important otherwise the harsh chemicals usually present in the makeup products could hamper your skin texture and you might start losing your eyelashes also. So removing your base, eye, and lips makeup are equally important before bedtime, this is the first step of your daily skin care routine otherwise it could add wrinkles at an early stage. 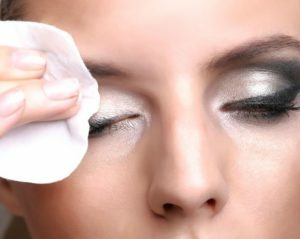 Remove your makeup with a makeup removal solution or you can also use cleansing lotion for that. Cleansing your face at the end of the day is pretty much important as it washes off all the dirt and pollution the skin goes through the whole day. But cleansing it according to your skin type is much more important otherwise you would end up either making it flakier or greasier. For dry skin use an alcohol-free mild cleanser otherwise you would end up washing off all the natural oils from your skin. Take a coin size amount of cleanser and apply it on your face then wash it off with Luke warm water. For oily skin, use an oil-free cleanser that easily fits your skin type and washes off the extra oil from your skin. Take a coin size amount of cleanser and apply it on your face then wash it off with warm water. For sensitive skin, use a cleanser containing polyphenols and try to avoid those cleansers with alcohol and acid. Gently wash your skin with a mild cleanser and rinse it off with warm water. Exfoliating your skin twice a week can get back the soft and suppleness our skin loses from every day’s dirt and pollution. By removing the dead cells and impurities that clog the skin pores an exfoliator brings out the natural glow of your skin. For this, you can use natural scrubbers like sugar or you can also use exfoliators that are easily available in the market. But people with sensitive skin should not try to exfoliate as it could damage their skin. Face masks hold equal importance in a skin care regime along with other skin care routine. It’s quite easy to put on a face mask whether it’s being natural or the face packs available in the market. After applying face mask your skin feels fresh and toned it helps to pull out dirt and impurities from the clogged pores of the skin. So make the face mask a part of your daily skin care routine and apply it once in a week. 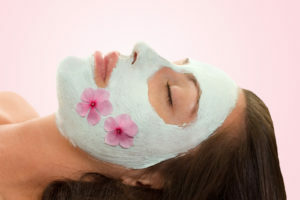 People with dry skin should use masks that are rich in moisturizers to hydrate their skin. For oily skin face masks that remove the excess oil from the skin should be used. And to treat skin blemishes peel-off masks should be used and all the instruction written on the container should be maintained and don’t leave the mask for a long time otherwise it could spoil the skin texture. Toners are the soothing agents that help to balance the pH level of the skin and close the skin pores that gets opened during exfoliation so that they doesn’t get clogged by dirt and oil. It also helps to clean the residue a cleanser retains on the skin. After cleansing your face take a few drops of skin toner on a cotton tissue and gently wipe your face with it. You might be wondering what role does the night cream plays in your daily skin care regime and that too at this young age. But for your concern unlike of your age, the night cream is the requirement of all ages with all skin types. Night cream restricts your skin from drying up and helps to retain the moisture required to keep your skin hydrated throughout the day. People with dry skin should use an oil based night cream so that their skin doesn’t seem to be flaky in the morning. And those with acne and oily skin should use a non-greasy night cream so that the skin pores doesn’t get blocked. The moisturizer or the BB cream usually used by us contains some amount of sunscreen in it. But using a sunscreen separately would be a wise decision. As the sun damages our skin and tends to skin cancer so it’s quite important to use a sunscreen with a range of SPF 30-40 so that it can fight against UVA and UVB rays. 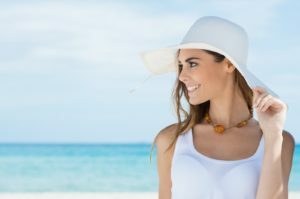 Apply one ounce of sunscreen every day half an hour before your skin exposure to the sun and redo it after every two hours. Treating your acne doesn’t involve popping or squeezing them, as doing so could leave you with scars. If you want a permanent solution for these pimples or acne’s then use those various products that contain Benzoyl peroxide as it helps to fight against acne. These products are easily available in the market and can be used for the treatment of acne they come in packages like anti-acne creams, lotions, gels etc. As it’s not a miracle and cannot happen overnight so this process demands time, until then have patience and dedicatedly follow the instructions written on the container of the product. And after a couple of months, you will definitely get some noticeable results. Blemishes not only spoil your appearance it also hamper your skin texture. Blemishes are skin issues like pigmentation, acne scars etc that happens from clogged pores and greasy skin. Every other teen is facing this problem so to protect your skin from blemishes avoid excess exposure to the sun, start a skin care routine from today onwards and take good care of your skin or you can use a mild scrub daily in order to reduce blemishes. Or otherwise, you can also use chemical products like AHAs and BHAs for a month and so to get a permanent solution to this problem. People resident in cold countries might prefer tanning but tanning could damage your skin. As we all know because of UVA and UVB rays 15 minutes of skin exposure to the sun could tend towards skin cancer. And if not so then it ends up adding sunburns, wrinkles at a premature age and decreasing your skin tone by two shades and making you duskier. Another issue that makes your skin much more dull and damaged is smoking. Smoking at a regular basis could hamper your skin texture and add wrinkles and dark spots to it. So by eradicating these two bad habits from your life you can get a glowing and radiant skin. 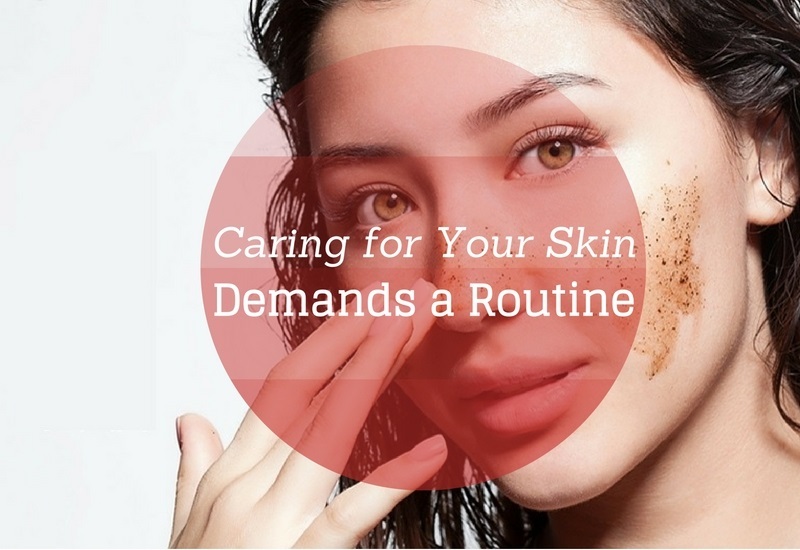 Follow your routine: If you don’t get any kind of pleasing result even after dedicatedly following this skin care regime for a couple of months. Then don’t feel low though it’s a slow and steady process so it needs time to work according to your skin type. And if you find after a year there is no improvement in your skin texture then you can switch to other skin care regime. For more beauty tips like this stay connected and till then keep flaunting awesomeness!! !